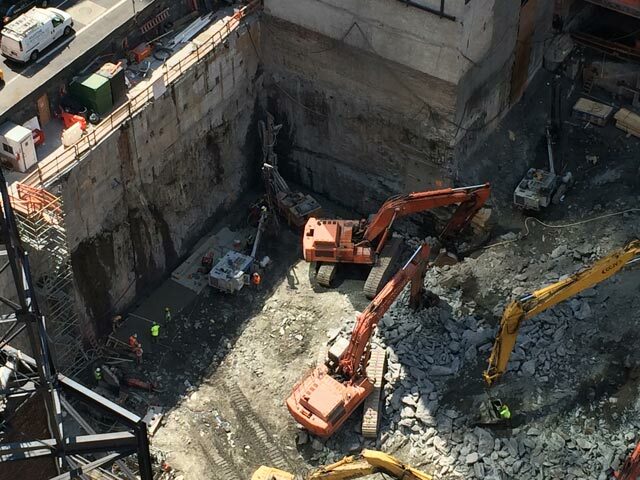 Excavation has been ongoing for several months at Vornado’s 220 Central Park South, but it appears that the process is now coming to a close; the first concrete is now pouring into the tower’s enormous pit, signaling the start of actual construction. 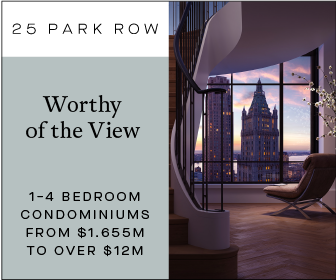 Robert A.M. Stern is designing the 950′ and 65-story tower, which promises to make a significant impact on the skyline when viewed from Central Park. 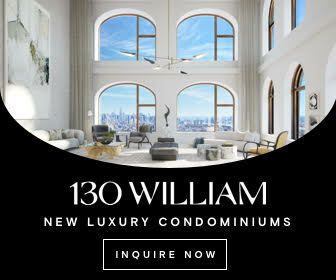 Wednesday’s reveal of the future cityscape showed the building’s prominence, and while it will be completely obscured from the south by Extell’s 225 West 57th Street, views to the north and west will be comprehensive, likely commanding the highest asking prices among any condominium developments in New York City. 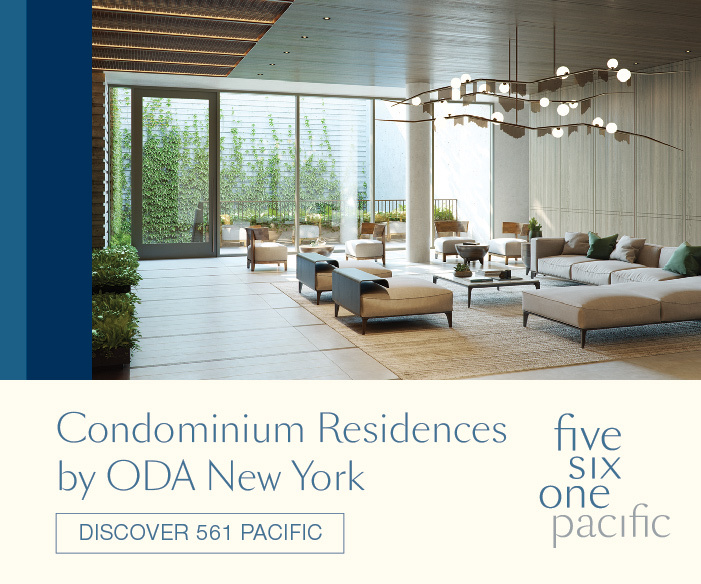 The latest construction photos also come with fresh zoning diagrams filed with the Department of Buildings, which give a first look at the component fronting Central Park South, which has been dubbed “The Villas,” and will be defined by a series of minor setbacks before topping-out 17 floors above street level; its net scope will measure 57,713 square feet, while the larger tower will total 414,349 square feet. 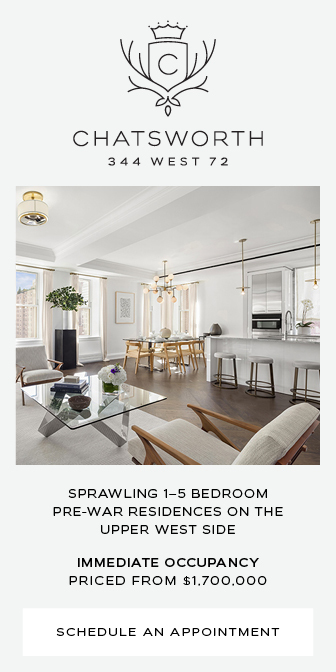 Diagrams also break the square footage out on a floor-by-floor basis, and the the penthouse at “The Villas” will likely be expansive. Floors 10 through 12 total 8,283 square feet, and 13 through 15 span 6,441 square feet. 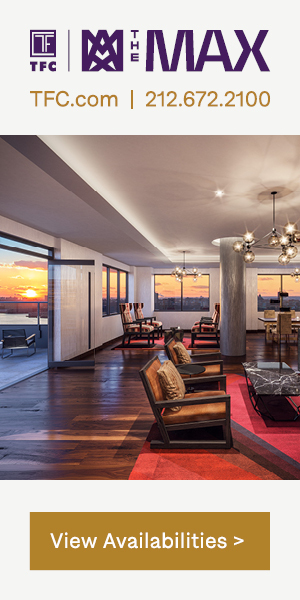 Any combination could be vast, and a 14,000 square-foot unit would not be preposterous, given the neighborhood and comparable properties; One57’s Winter Garden penthouse is a similar size. 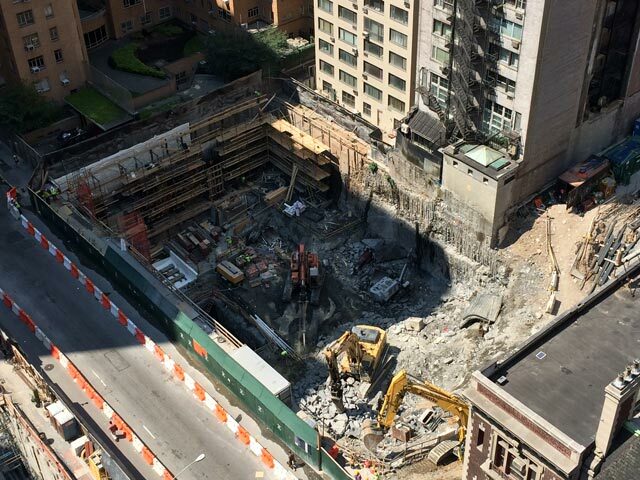 Across the street, the first concrete also appears to be filling the pit at 225 West 57th Street, though the scope of that site means excavation still has a ways to go. 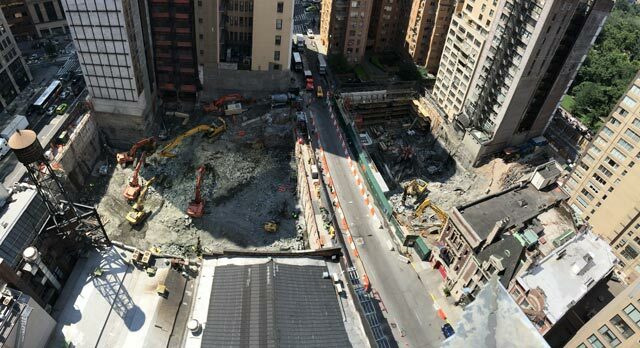 Nevertheless, West 58th Street now spans a minor chasm. 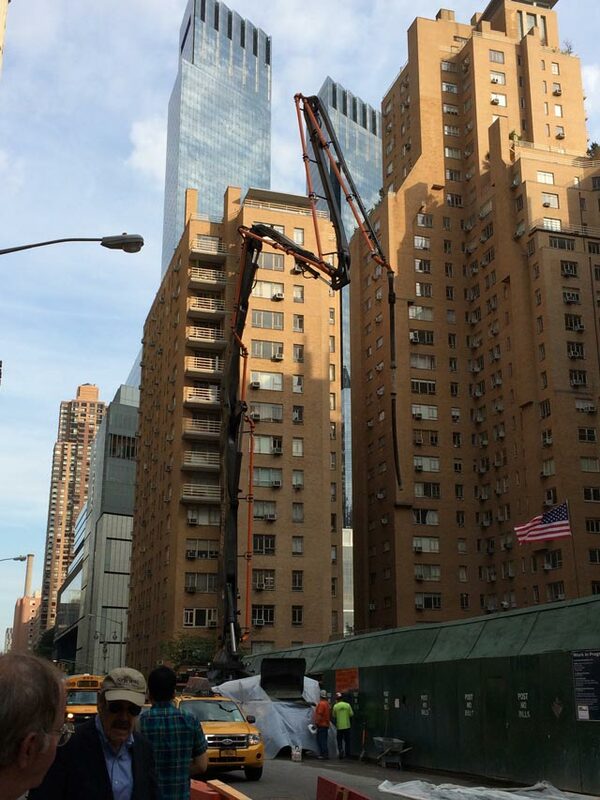 Completion of 220 Central Park South is expected in 2016.